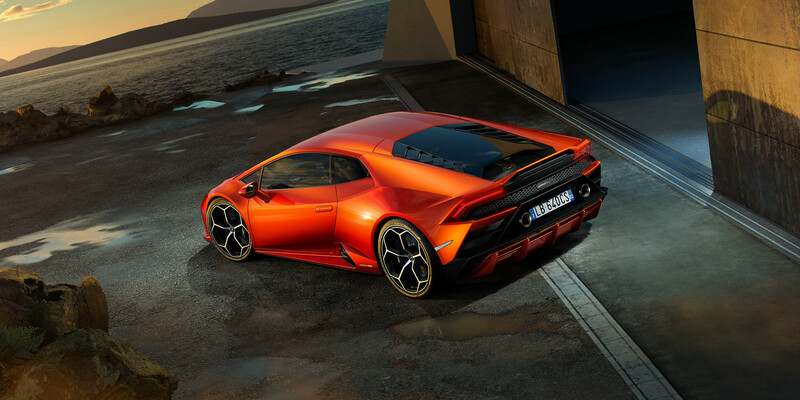 Automobili Lamborghini has given the aging Huracán a brain transplant, and a bit of nip and tuck plastic surgery, in creating the 2019 Lamborghini Huracán EVO. The original Huracán was named after a Spanish fighting bull who fought with great courage in 1879. The EVO retains all the hoof-stomping bravado and fighting spirit of its predecessor, but an all-new LDVI central processing unit controls every aspect of the EVO’s dynamic behavior to give the driver ‘feed forward logic’ to anticipate the best driving configuration for the next moment. The old bull has become a lot smarter to amplify the driving emotion. The original Lamborghini Huracán was introduced at the 2014 Geneva Auto Show. While the design is only five years old in human years, five years in the world of automotive electronics is long enough for several generations of electronic driver aids to have come and gone. It is no longer enough for today’s supercars to be very fast and have dramatic design. Any car selling for six figures also has to have the latest in electronic driver aids and connectivity. With the EVO, Lamborghini has equipped the Huracán with the highest level of supercar technologies. 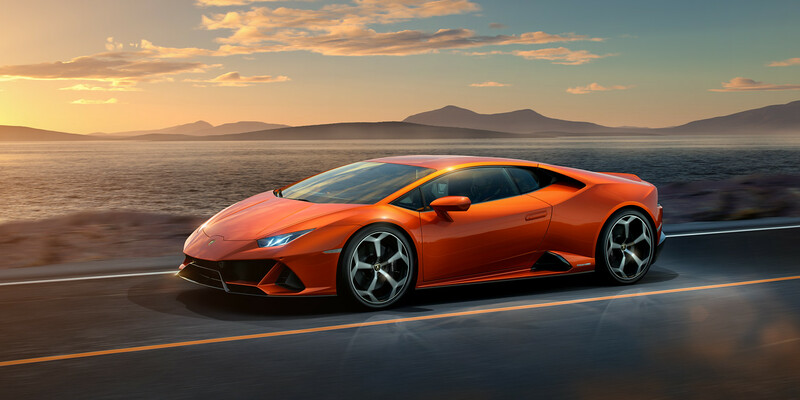 According to Stefano Domenicali, Chairman and Chief Executive Officer of Automobili Lamborghini, “The Huracán EVO takes the extraordinary abilities of the Huracán Performante and combines state-of-the-art vehicle dynamic control to amplify the everyday Huracán driving experience.” The Lamborghini Dinamica Veicolo Integra, or LDVI for those of us not fluent in Italian, controls all of the EVO’s electronic subsystems, such as the integrated inertial platform (LPI), and the enhanced dynamic steering (LDS), to create a super-agile and responsive car with an unparalleled level of control. Processing and analyzing data in real time, the Huracán EVO recognizes the driver’s intentions through steering wheel, brake, and accelerator pedal inputs, the engaged gear, and the driving modes (street, sport, or track) selected via the ANIMA controller. External conditions are determined through the active suspension and the all-wheel grip estimation function. All of the information is analyzed and processed by the LVDI every twenty milliseconds and converted into precise inputs for the vehicle dynamic system. A ‘feed forward logic’ is implemented via the dynamic controller, enabling the car to predict the best driving configuration, rather than just reacting to driver inputs. The smart bull not only can almost instantaneously react to what the driver is actually doing, but the “feed forward logic” can predict the best driving configuration for the next moment—the bull can now read the driver’s mind. 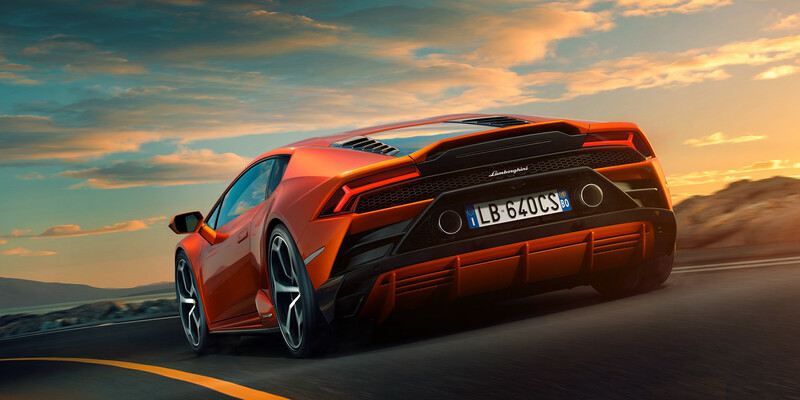 In their zest to make the Huracán smarter, Lamborghini didn’t forget about improvements to the Performante V10 naturally-aspirated, direct fuel-injected engine. The all-aluminum 5.2-liter, four-valves per cylinder, double overhead cam engine received uprated titanium intake valves and a new lightweight exhaust system to boost the power output up to 640 horsepower at 8,000 rpm and 443 lb-ft of torque at 6,500 rpm. Connected to the all-wheel drive system through a seven-speed, dual-clutch automatic transmission with a manual shifting mode, the upgraded engine will propel the 3500 pound EVO from 0 to 60 mph in 2.4 seconds, do the standing quarter mile in 10.5 seconds, and reach a top speed of 202 mph. If those figures don’t satisfy your need for speed, maybe you should take up flying jet aircraft. The EVO body was altered to improve the engine cooling by 16% and a redesigned splitter is now integrated into the bottom part of the bumper. Overall, the silhouette hasn’t changed dramatically and still traces its roots back to the Marcello Gandini-designed Lamborghini Countach. Elevated dual exhaust outlets give the rear of the Huracán EVO a look that is more like a GT3 race car and allows the air diffuser to be much taller. The revised body covers an EVO chassis that now has as standard features rear-wheel steering, magnetorheological dampers and variable-ratio power steering. The new aerodynamic styling gives the EVO aero downforce and efficiency more than five times that of the first generation Huracán. One of the EVO’s major steps forward is the new 8.4-inch HMI capacitance touchscreen located in the center console that puts connectivity at the driver’s fingertips with multi-gesture control. Maurizio Reggiani, Lamborghini’s chief technical officer, firmly believes that: “Connectivity is a trend that Lamborghini can’t afford to ignore.” The previous Huracáns displayed their infotainment systems on the digital instrument clusters and didn’t have a separate touchscreen. 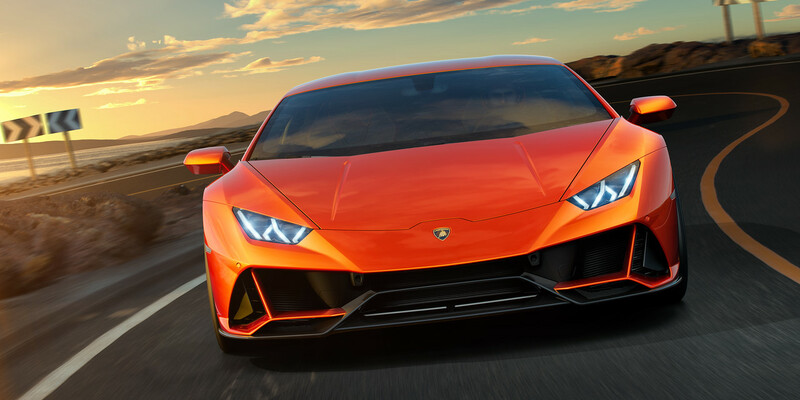 All car buyers, including those in the Lamborghini market, now demand features like smartphone connectivity and a state-of-the-art infotainment systems. The all-new software was developed by Lamborghini in-house and the touchscreen replaces two dozen buttons previously housed in the center console. The multimedia system incorporates connected navigation and entertainment including web radio and a video player. The touchscreen also controls car functions including seat adjustment and climate control. The intuitive interface allows voice commands and an optional dual-camera telemetry system enables advanced telemetry recording and analysis. An integrated high-capacity hard disk is also available. Ronan Glon of Digital Trends likes the new system, saying, “The screen’s resolution is sharp, its response is almost as quick as the gas pedal’s, and the graphics are gorgeous and on-brand.” A heads-up display is not available on the EVO. According to Signore Reggiani, no existing HUD system will work with the 27-degree slant of the EVO’s windshield. All this can be yours for a suggested retail price of only USD 261,274. If that seems a bit steep, remember famous financier J.P. Morgan’s answer to oil baron Henry Clay Pierce who asked about the price of Morgan’s yacht—Mr. Morgan responded, “You have no right to own a yacht if you ask that question.” If you want to play in the supercar game, you shouldn’t quibble about the price of admission. The EVO has speed, improved handling and all of the latest technology—all wheel drive, four-wheel steering, variable ratio steering, an infotainment system controlled by a touchscreen, a more aerodynamic body, and a tweaked engine producing more power and torque than the original Huracán. 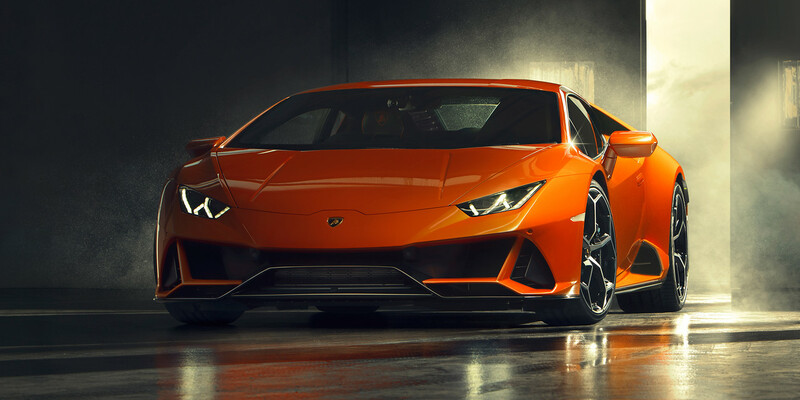 While it may be true that you can’t teach an old dog new tricks, Lamborghini has shown that you can teach an old bull a thing or two about staying ahead of the competition. Next Chrysler Pacifica Minivan: Conventional or Hybrid?